Laura Schnaible, Recruiting Specialist, The New England Center for Children, Inc. When preparing to enter the workforce after college graduation, and when preparing for internship application season, many students appreciate pointers from true experts. Two members of the recruiting team from the New England Center for Children (NECC), Laura Schnaible, Recruiting Specialist, and Kaitlyn Maloney, Human Resources Coordinator, share some of their top tips for soon-to-be grads and internship candidates preparing for the job search process. What are your 3 top tips for new college graduates about how to prepare for the job search process in January if they plan to graduate in May? Students should have an updated current resume targeting specific fields/industries, if they are able to research organizations ahead of time and have a specific one for that company. Dress appropriately for colleges fairs, interviews, etc. Lean more on the conservative side. Make use of career services at your college/university. They can help direct you when it comes to resumes, career events, job opportunities, and the appropriate ways to follow up with potential employers. If students want to work for The New England Center for Children as a summer intern, when should they apply? Please describe the application process. Our internship program is very competitive, and we strongly recommend applying in January or prior within the fall semester, since an on-site interview is required. It is important to review the position information, and to reach out to the internship coordinator with your contact information and resume. Have you hired an intern who later became a star employee? Please share your internship success story with us. 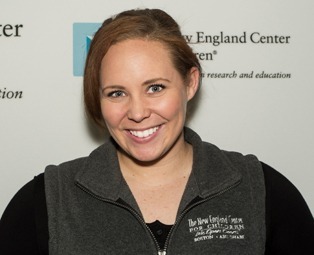 Kaitlyn Maloney, Human Resources Coordinator-Recruiting, The New England Center for Children, Inc.
We have hired many full and part-time interns as employees. 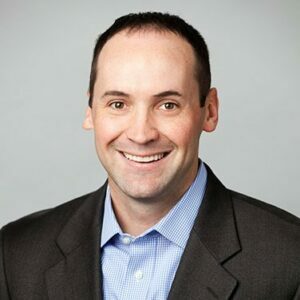 We pride ourselves on being a company that promotes within, and we have had numerous interns turn into staff who grow into supervisory positions, complete on-site Master’s programs, and truly become leaders at the organization. For more tips from recruiting experts, follow College Recruiter’s blog and follow us on Facebook, LinkedIn, and Twitter. Stick with College Recruiter this month as we help you connect the dots on your path to career success. In 2007, like most employees at The New England Center for Children (NECC®), Kaitlyn and Laura began their careers as teachers in the residential program for students who have a moderate to severe diagnosis of Autism Spectrum Disorder. Kaitlyn received her undergraduate degree in Criminal Justice and Psychology at Westfield State University, and Laura attended Valparaiso University, receiving her degree in Business Administration and Psychology. During their years at NECC, both have taken advantage of the significant graduate school tuition reimbursement benefit; Kaitlyn received her Master’s of Education with a concentration in Mental Health Counseling from Cambridge College, and Laura received her Master’s of Science in Education with a concentration in Severe Special Needs from Simmons College (one of NECC’s on-site graduate programs). 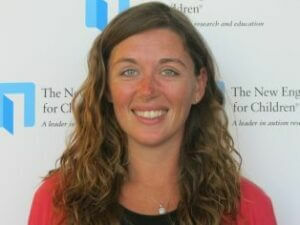 After working in the residential program, and at NECC’s second school facility in Abu Dhabi, Kaitlyn joined the Human Resources Recruitment Department in 2014 as a Human Resources Coordinator, and has the main focus of creating relationships with numerous college and university programs within the Northeast. Laura has been in the Recruiting Specialist role for seven years and focuses on building long-reaching partnerships with programs throughout the United States and Canada. Both work daily meeting college students in person and guiding them toward the many internship and career opportunities at NECC. For those interested in learning more about internships, career opportunities, and the numerous benefits NECC offers, please visit www.necc.org.